BioTek is a family-run organization with origins dating back to 1968. In 1981 BioTek entered the microplate instrument arena and introduced its first microplate reader. 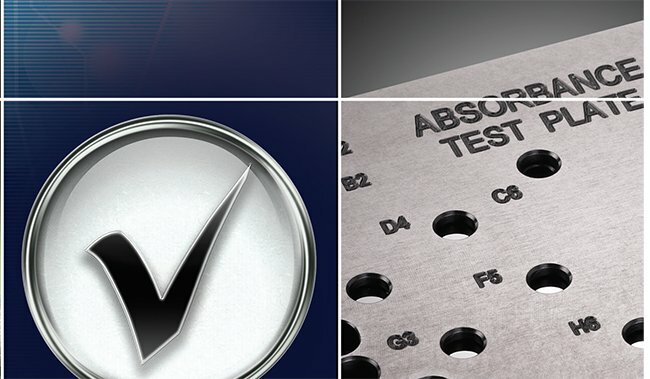 Since then, BioTek has emerged as a global leader in life science instrumentation solutions that increase the productivity for customers engaged in healthcare, pharmaceutical, agricultural and research applications.Our products are proudly Made in the USA. The historical timeline below outlines some of BioTek's milestones since entering the life science market. BioTek introduces next generation Epoch 2 Microplate Spectrophotometer. BioTek introduces the new AutoScratch Wound Making Tool. BioTek releases Synergy LX Multi-Mode Reader. 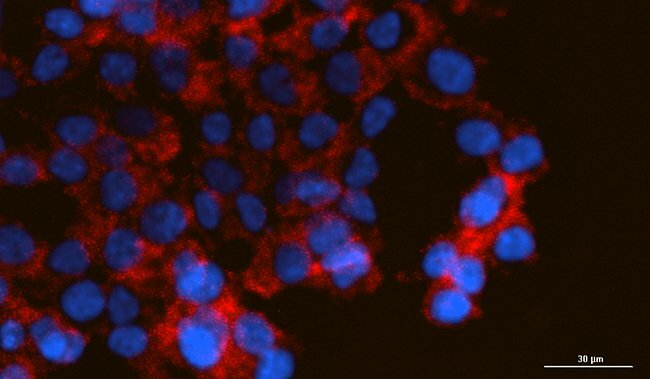 BioTek releases Lionheart LX Automated Live Cell Imager. BioTek celebrates 50 years of Passion and Innovation. New Customer Resource Center launched. BioTek receives Patent for Laser Autofocus Method used in Cytation and Lionheart. BioTek opens office in Dubai. 800 TS microplate reader and 50 TS microplate washer released. BioTek China opens 3rd office. BioTek Expands Winooski, VT facility by 22,000 sq. feet. 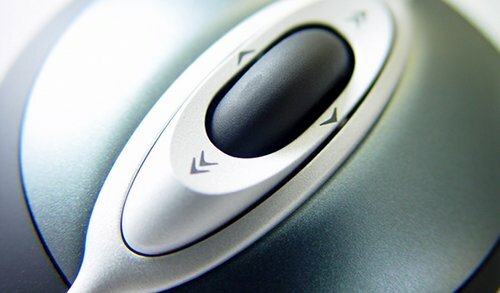 Cytation 1 is released for affordable digital imaging and multi-mode detection. BioTek Receives Patent for Imaging and Microplate Reading in one Instrument. 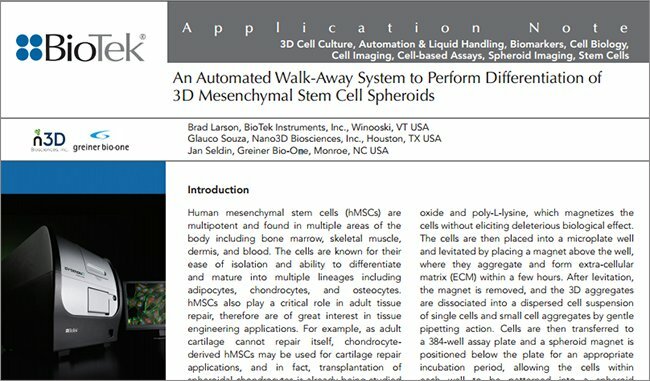 BioTek releases Lionheart FX Automated Live Cell Imager. BioTek launches Traditional Chinese Language Web Site. BioTek receives the President's "E" Award. BioTek Synergy Neo2 wins Scientists' Choice Awards for Best New Life Sciences Product of 2015. U.S. Patent Granted for BioStack 4 de-lidding and re-lidding. 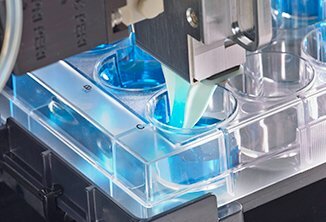 BioTek releases BioSpa 8 Automated Incubator. BioTek Adds Patent Pending Laser Autofocus to Cytation Cell Imaging Readers. BioTek Receives 5x5x5 Growth Award for Technology. BioTek Opens New Direct Office in the United Kingdom. 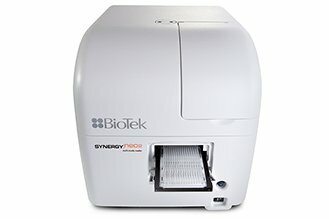 BioTek releases Synergy Neo2 Multi-Mode Reader. BioTek Awarded Patent for Automated Ultrasonic Blockage Detection and Cleaning in Microplate Washers. 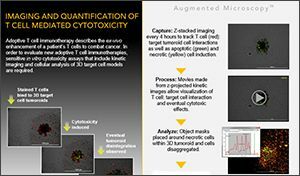 BioTek releases second generation Cytation 5 Cell Imaging Multi-Mode Reader. 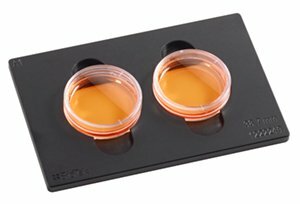 BioTek releases Epoch 2 Microplate Spectrophotometer & Synergy HTX Multi-Mode Microplate Reader. BioTek releases MultiFlo FX with optional RAD (Random Access Dispense) technology. BioTek receives the Silver Edison Award for the Cytation 3 Cell Imaging Multi-Mode Reader. BioTek receives the 2013 Worksite Wellness Gold Award. BioTek introduces new “Think Possible” tagline. 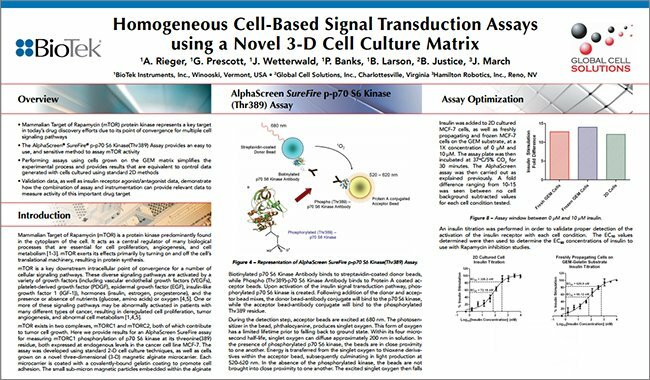 BioTek receives the 2013 Drug Discovery Product of the Year - Scientists' Choice Award for the Cytation 3 Cell Imaging Multi-Mode Reader. 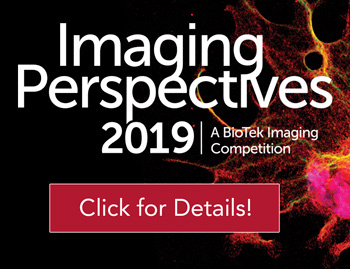 BioTek combines multi-mode detection and automated microscopy in the revolutionary Cytation 3 Cell Imaging Multi-Mode Reader! 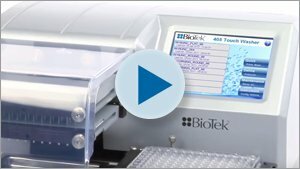 BioTek introduces the patented Verify™ Technology available on 405 Touch and 405 LS models, MultiFlo™ FX Microplate Dispenser and BioStack™ 4 Microplate Stacker. BioTek opens Japan and Taiwan offices. 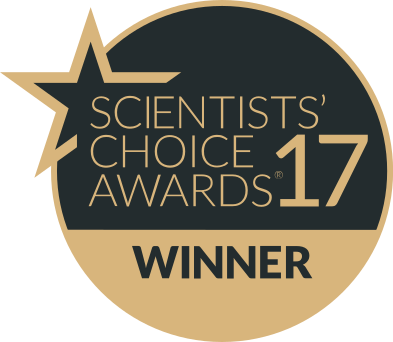 BioTek receives the 2012 Drug Discovery Product of the Year - Scientists' Choice Award for the Synergy™ Neo HTS Multi-Mode Microplate Reader. BioTek receives European patent for Microplate Washer Technology and U.S. patent for Hybrid Technology. 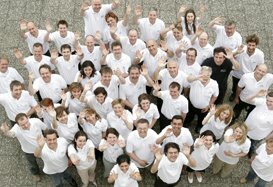 BioTek France SAS is formed on January 1, 2012. 2nd office opens in China, expanding local coverage to Shanghai. BioTek receives 2012 Best Places to Work in Vermont Award. 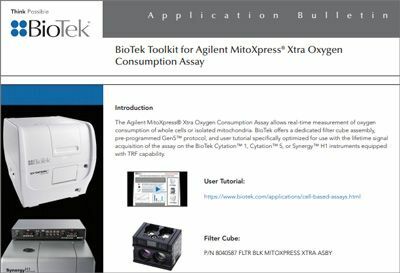 BioTek introduces the 405 Touch Microplate Washer and 405 LS Microplate Washer, Gas Controller for Synergy H1, BioStack3 Microplate Stacker and Synergy Neo HTS Multi-Mode Microplate Reader. Italian, Russian and Korean languages added to multi-lingual website. BioTek introduces the world’s first deep well microplate washer (ELx405 Select Deep Well). Eon Microplate Spectrophotometer and Take3 Trio Micro-Volume Plates are released. 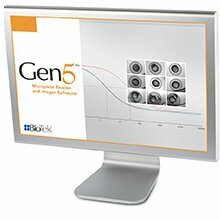 BioTek releases the second generation of Gen5 Software….enhanced visuals and easy-to-use interface. BioTek wins Vermont’s 5x5x5 Growth Award. BioTek receives 2011 Frost & Sullivan North American New Product Innovation Award for Workflow Solutions in Life Sciences. Synergy H1 Hybrid Multi-Mode Microplate Reader, Synergy H4 2nd generation Hybrid Reader and Synergy 2 Alpha Microplate Reader introduced. 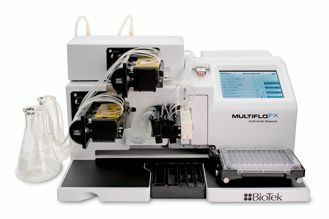 MultiFlo Microplate Dispenser introduced. BioTek wins Deane C. Davis Outstanding Business of the Year award. 1000th Galileo Echo automated blood testing instrument manufactured and shipped for Immucor, Inc.
Epoch Microplate Spectrophotometer and Take3 Multi-Volume Plate introduced. Synergy Mx Monochromator-Based Multi-Mode Microplate Reader introduced. BioTek is awarded Best Place to Work in Vermont from VT Business Magazine and Business of the Year from the Lake Champlain Regional Chamber of Commerce. BioTek increases facility by 8000 sq ft. Service department moves and new lab is created. BioTek receives EP Patent for Verify technology and Ultrasonic Advantage washer technologies. EL406 Combination Washer/Dispensed is released. BioTek holds first Global Sales Meeting in Burlington, VT with the theme "One World. One Team. One Focus." Staff and distributors from around the world attended with 42 countries represented. BioTek opens China, India and Singapore offices. Synergy 4 Hybrid Multi-Detection Reader and Liquid Handling Control Software for the washers and dispensers are introduced. 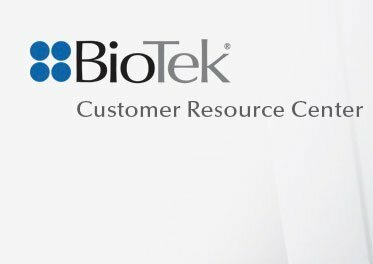 BioTek launches online Customer Resource Center. BioTek launches new corporate identity and logo. Get a Better Reaction. 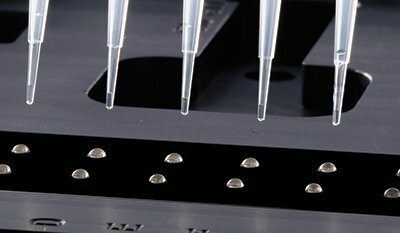 Synergy 2 modular Multi-Detection Reader and Nanoquot Microplate Dispenser introduced. 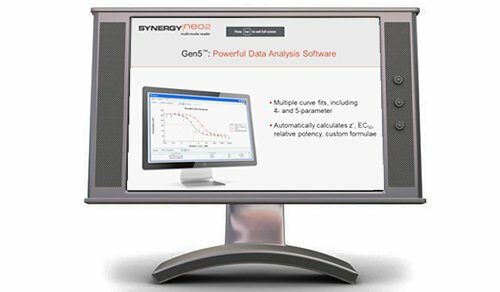 Gen5 Data Analysis Software is developed and introduced to run all BioTek readers. 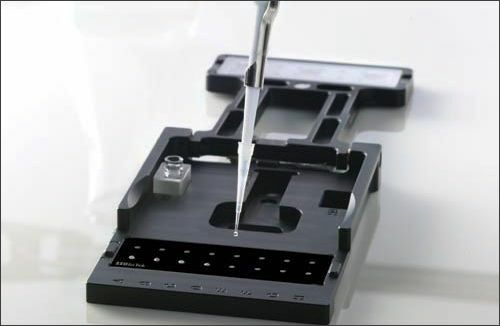 BioStack Twister II Microplate Handler introduced. 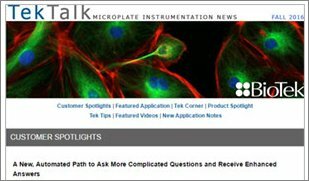 The first issue of TekTalk, BioTek’s Quarterly Customer E-Newsletter is published. Precision XS Microplate Sample Processor and the Clarity Microplate Luminometer introduced. BioTek finalizes an agreement with Immucor to develop the next generation blood typing and cross matching instrument. BioTek enters into an agreement with UVM and Immucor, Inc to develop a practical fluorescence based platelet assay for determining platelet activation. BioTek sells Biomedical division to focus solely on Laboratory Microplate business. 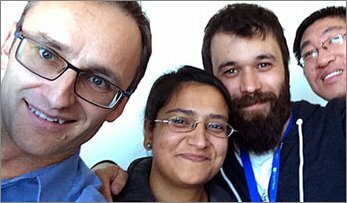 BioTek opens European Coordination Center in Germany. 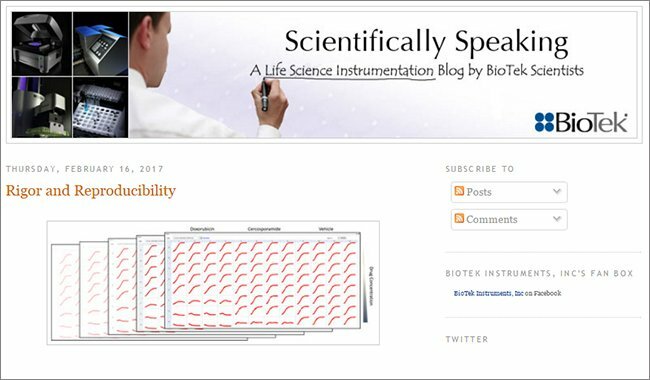 BioTek introduces the Synergy HT Multi-Detection Reader, the PowerWave XS Microplate Spectrophotometer, and the BioStack Microplate Stacker. BioTek finalizes an agreement with Immucor, Inc. to develop a 2nd revision to the ABS2000 automated blood typing and cross matching analyzer. Powerwave HT Microplate Spectrophotometer and the MicroFill Microplate Dispenser introduced. Briar Alpert becomes President & CEO. Precision 2000 Microplate Sample Processor and Precision Power Software introduced. 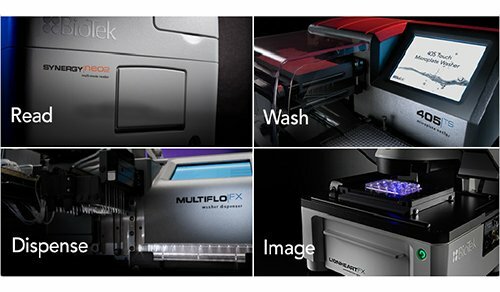 FLx800 Multi-Detection Reader, ELx405 Automated Microplate Washer and the first magnetic bead washer, the ELx405M introduced. BioTek is awarded U.S. patent for Universal Washing Apparatus for Microtiter Plate and the like. BioTek is awarded U.S. patent for Method of and Apparatus for Performing Fixed Pathlength Vertical Photometry. µQuant and PowerWaveX Microplate Spectrophotometers and KCJunior software for Windows introduced. BioTek introduces the PowerWave, our first Microplate Spectrophotometer, the FL600 Multi-Detection Reader, the ELx50 Microplate Strip Washer and KC4 Data Reduction Software for Windows. BioTek receives ISO9001 certification from National Standards Authority of Ireland. BioTek introduces the ELx808 Automated Microplate Reader. BioTek launches first corporate Web Site at www.biotek.com. ELx800 Automated Microplate Reader, EL404 Automated Microplate Washer, and KC3 for Windows instrument control and data reduction software are introduced. 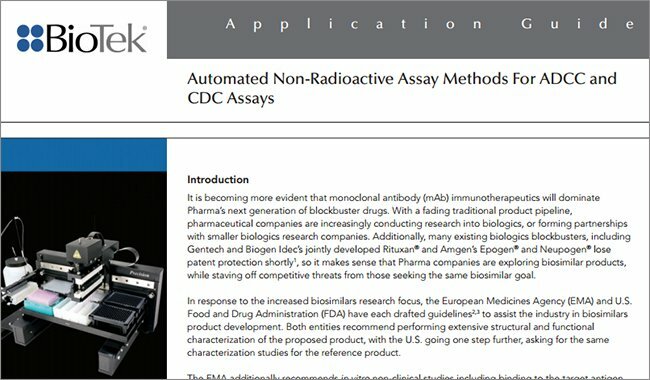 BioTek is awarded U.S. patent for Method of Distinguishing Among Strips for Different Assays in an Automated Instrument. BioTek introduces the FL500 Fluorescence Microplate Reader and ELP-40 Microplate Strip Washer. BioTek launches ELs1000 automated ELISA system. Ceres 900 Automated Microplate Reader with built-in computer and screen introduced. 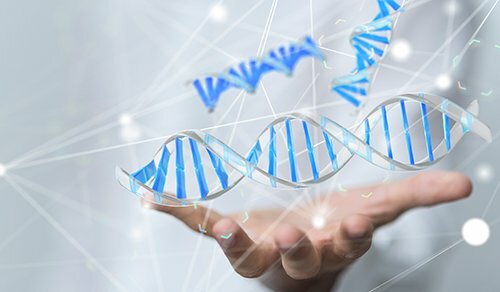 BioTek enters into an agreement with Immucor, Inc. to develop the first automated blood typing and cross matching analyzer. It is later named the ABS2000. 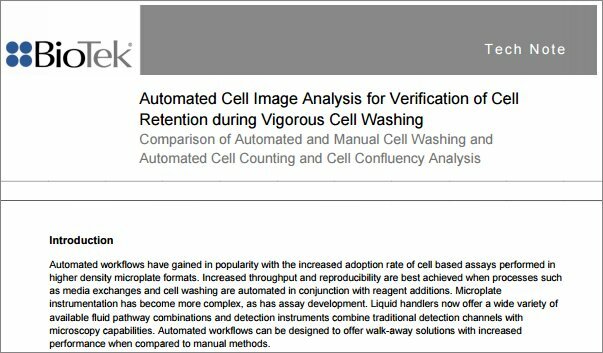 Kineticalc II software for microplate reader control and data reduction introduced. BioTek begins development of Omni System for high throughput infectious disease diagnostics and screening. Launch customers include Sorin Biomedica and Genetic Systems (inventor of the first practical HIV screening assay). BioTek buries time capsule to be opened October 2041. 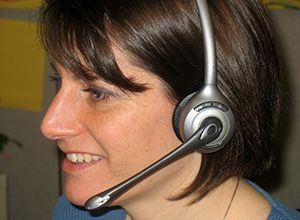 BioTek adopts voice mail technology. R&D and M&S move into current location in Highland Park across the cul-de-sac from manufacturing facility. Construction later begins to expand Manufacturing at BioTek West. EL340 Biokinetics reader, EL944 Turbo Software for EL311 and EL312 clinical data reduction and the ELP-35 Automated Strip Washer are introduced. BioTek purchases first fax machine in M&S department and transitions from Telex communication technology. BioTek introduces the EL311 Automated Microplate Reader, the EL312 Biokinetics Reader, the EL403 Automated Microplate Washer (the first robotic capable EL403), the EL301 Manual Strip Reader for field use, and Kineticalc PC Software for microplate reader control and data reduction. 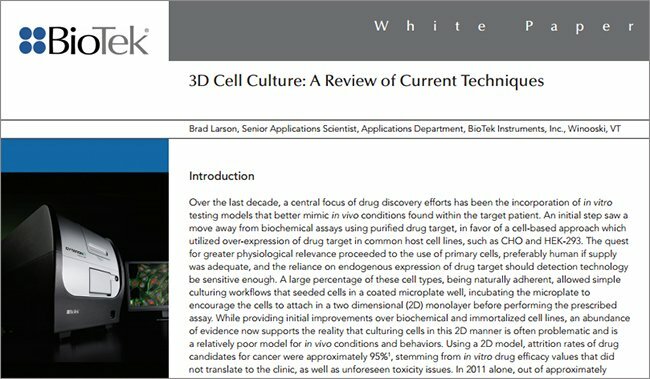 BioTek introduces first full line Laboratory product catalog. 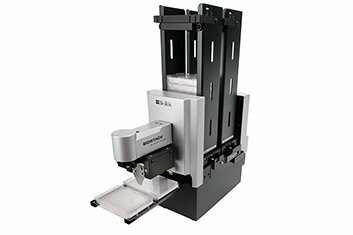 BioTek introduces the EL307c Manual Microplate Reader and the EL320 Stacking Automated Reader for automatic reading up to 25 plates. 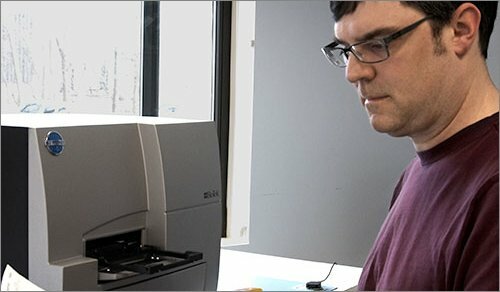 R&D and M&S departments move to Hercules Drive, Colchester, VT.
BioTek introduces the EL309 Microplate Reader, and the EL401 Microplate Strip Washer. BioTek moves from the Chase Mill to Highland Industrial Park, Winooski, VT.
First OEM was established with Genetic Systems to purchase the EL402 washer. 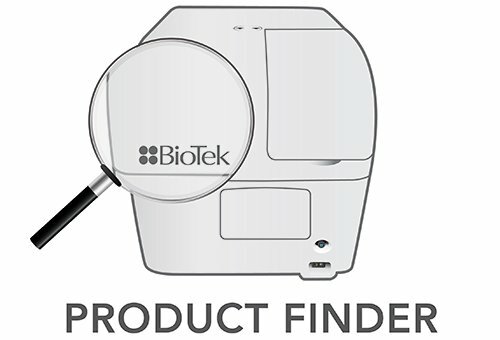 BioTek introduces its first Automated Microplate Reader, the EL310 (with internal printer), the EL308 Manual Microplate Reader (with internal 80-column printer and cartridge programming) and the first Microplate Washer, the EL402. Datalogging and data reduction software for the Apple II+ and the IBM PC are introduced. BioTek awarded U.S. patent for Photometer with Microtray Well position indicator. BioTek introduces first Laboratory instrument, the EL307 EIA Microplate Reader. Previously all products were developed for the Biomedical business. BioTek attends their first Laboratory trade show, the American Society for Microbiology. BioTek develops, manufactures and sells biomedical testing equipment.